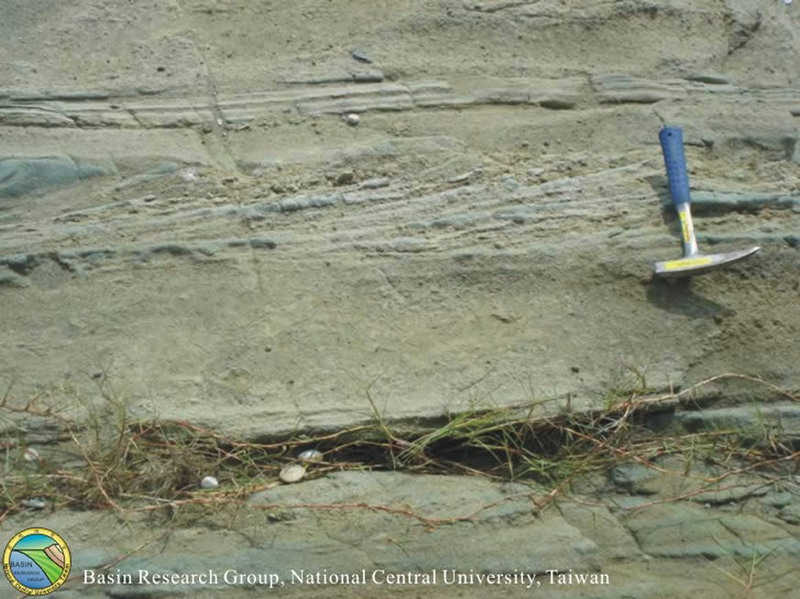 At Lingting in the northern tip of the Coastal Range (see Fig. 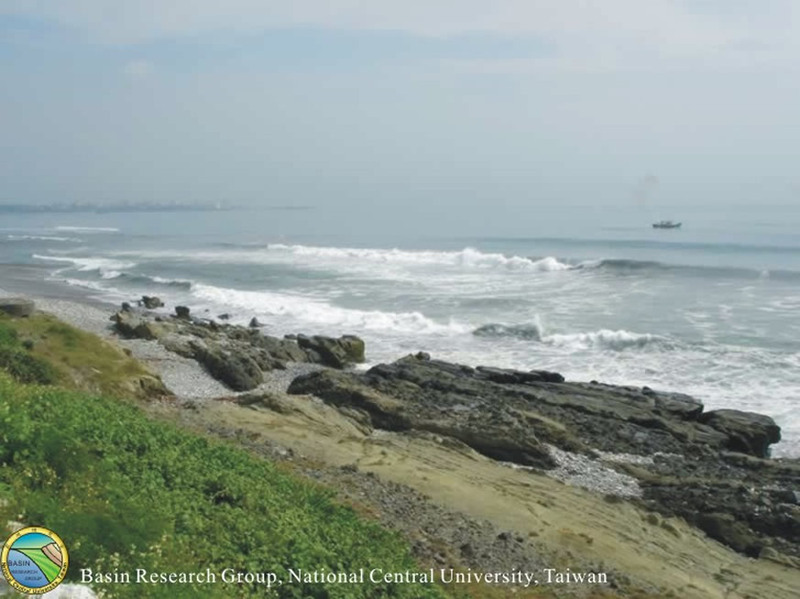 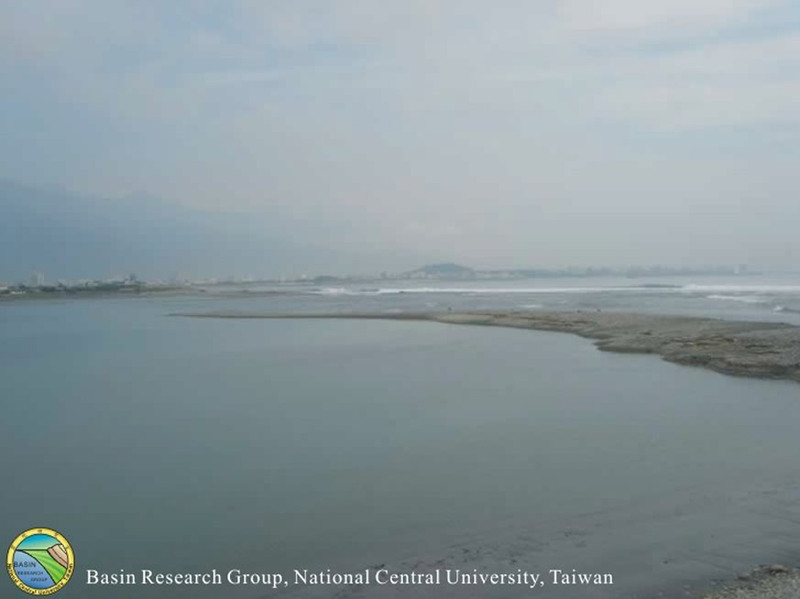 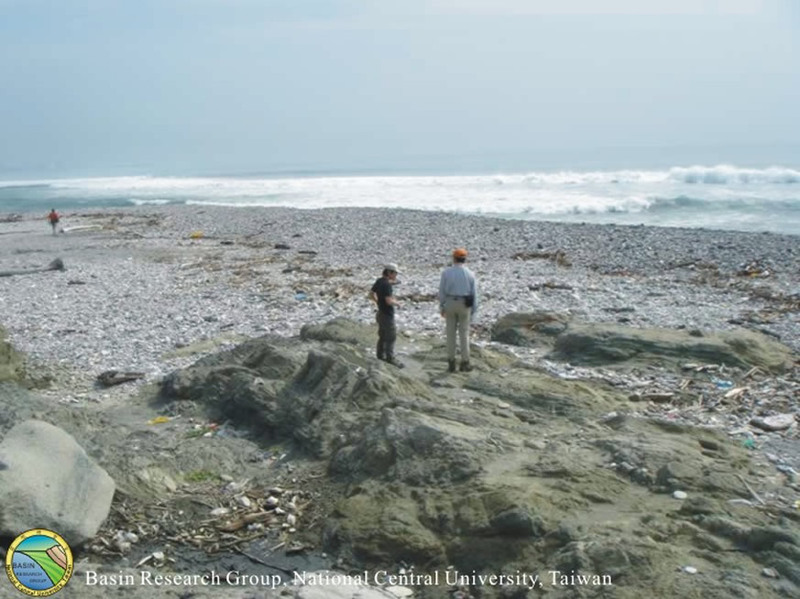 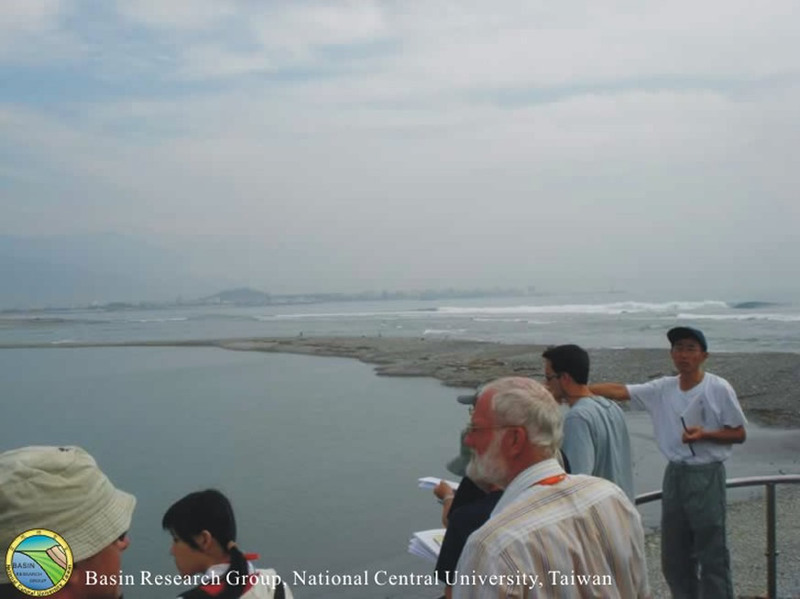 27 for stop location) it shows continuous coastal exposure of the volcano-pyroclastic rocks of the Miocene Tuluanshan Formation. 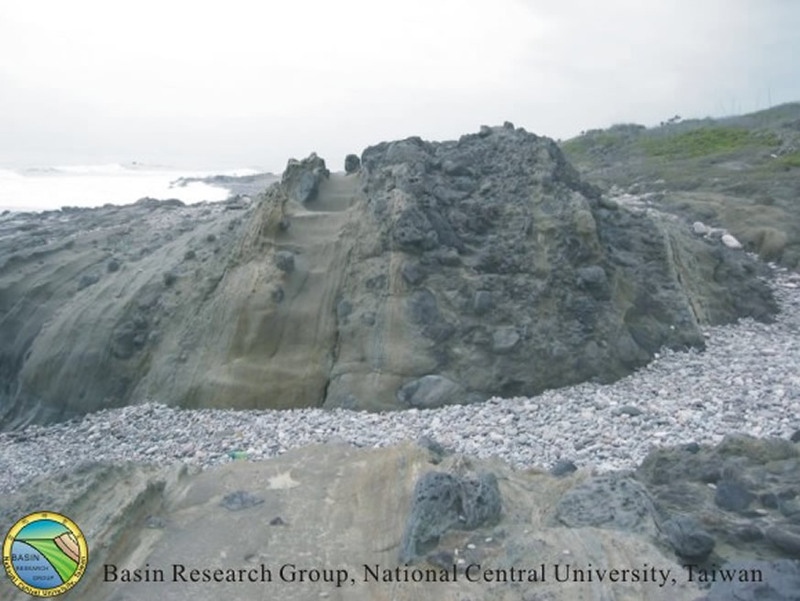 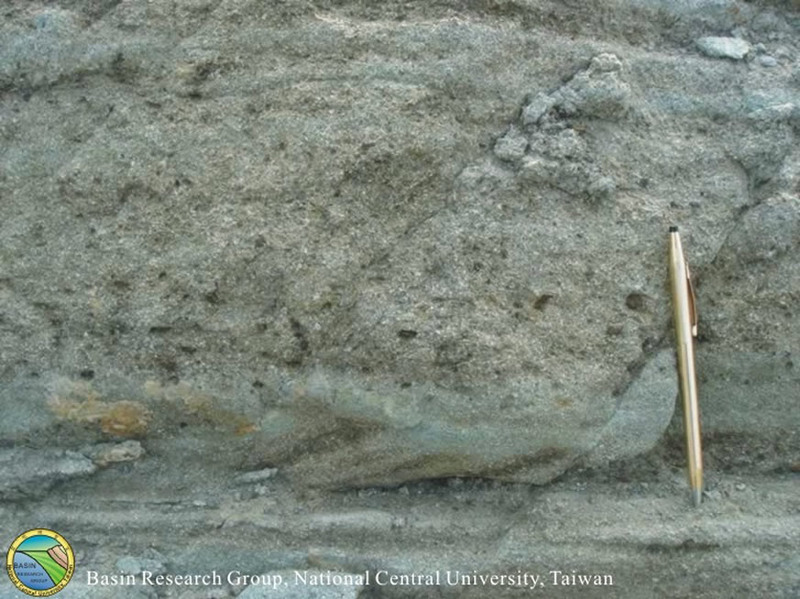 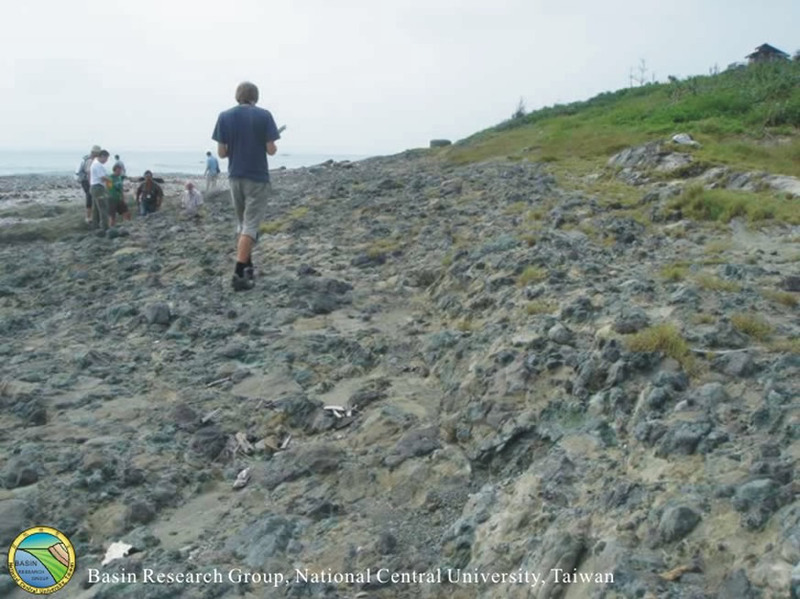 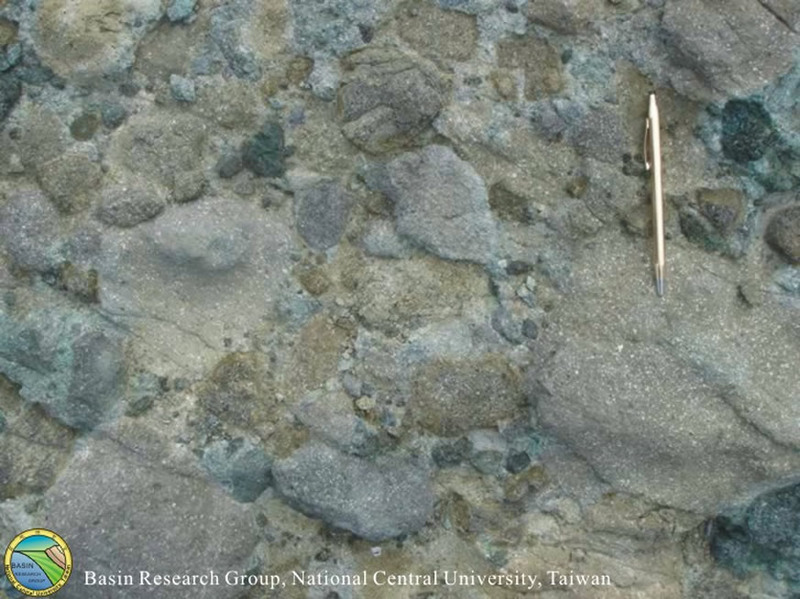 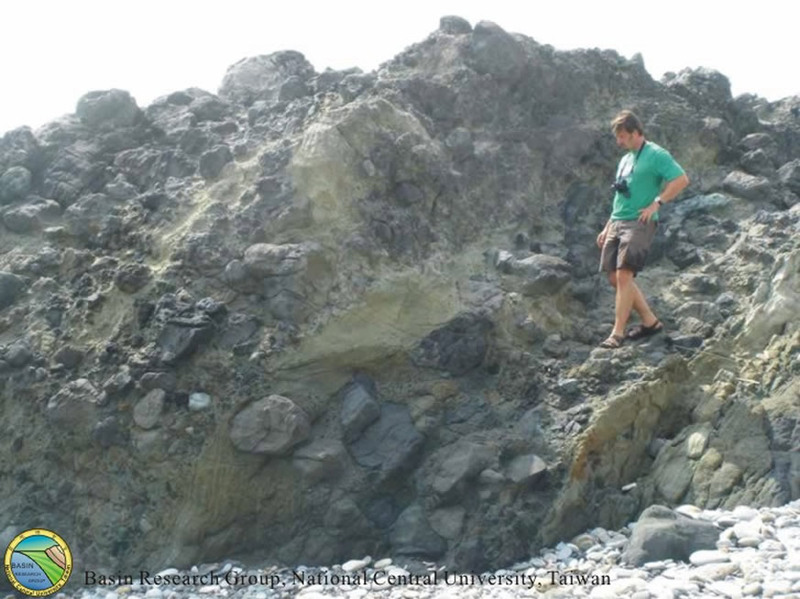 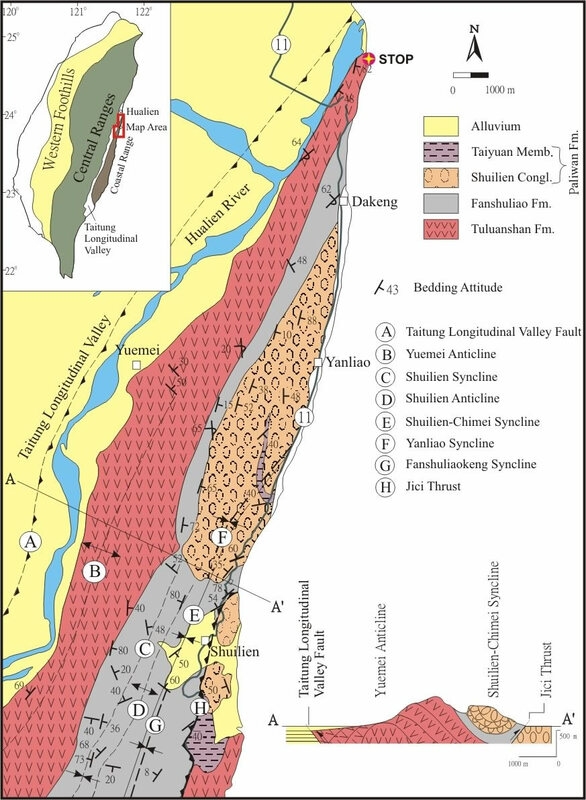 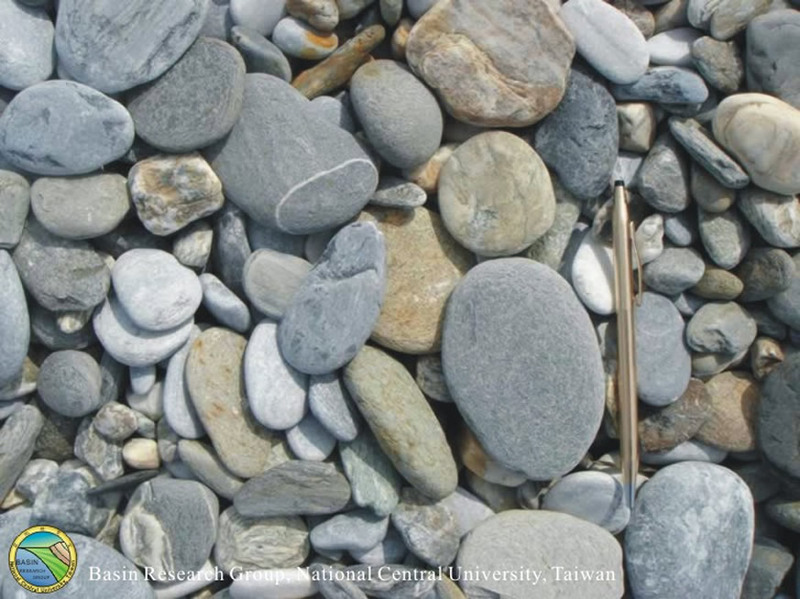 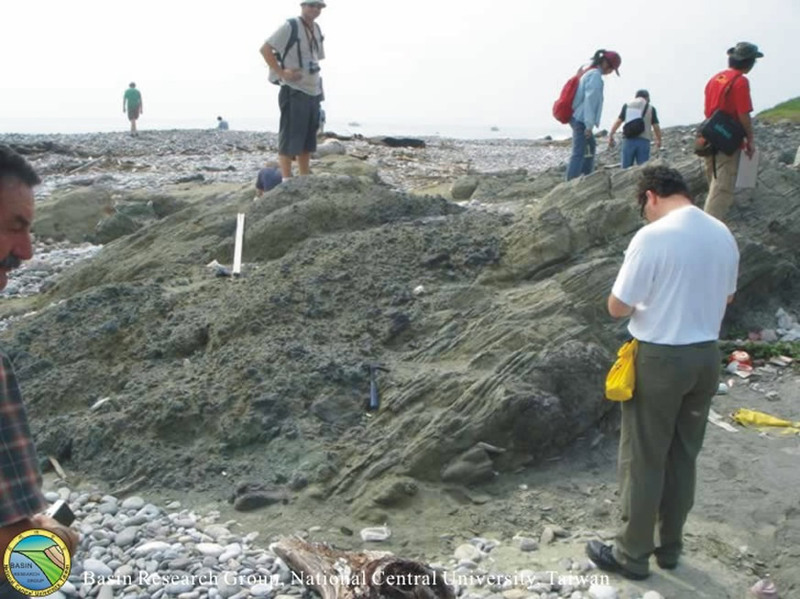 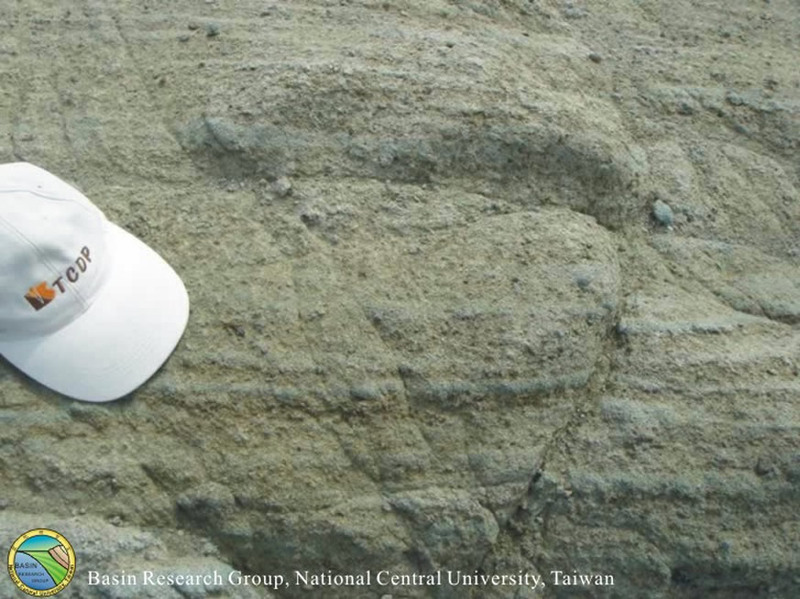 Agglomerates of the Miocene Tuluanshan Formation exposed at the northern tip of the Coastal Range near Lingting (see Fig. 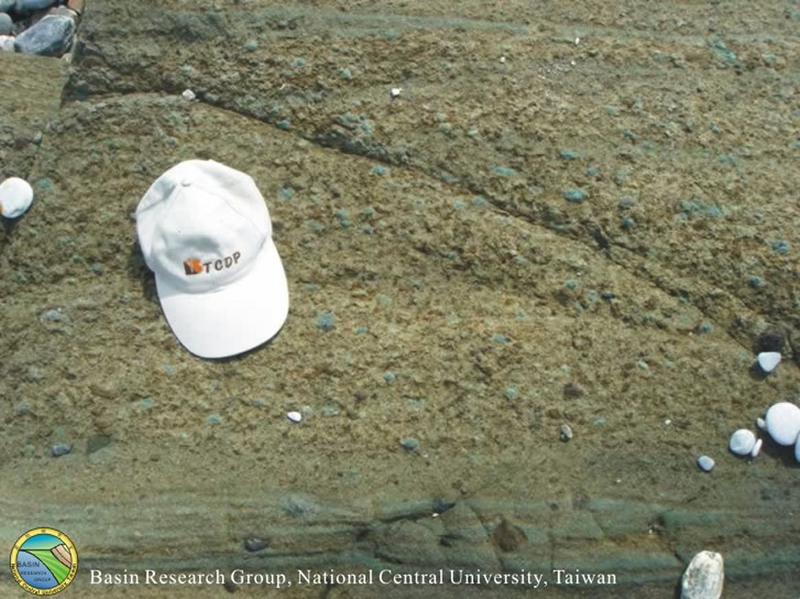 1 for stop location).